Salem Chamber of Commerce was able to take a tour of our plant, WJBD Radio tagged along, and produced this story. Officials of Americana Building shared their story of growth with members of the Greater Salem Chamber of Commerce during a tour of their facility on Thursday. Geff Purcell says the company has grown to 90 employees with room for future growth as their product lines grow. Purcell says they have seen large growth in their powder coating division this year as a result of powder coating all of the propane trucks being manufactured by JARCO in Salem and increased use by the agriculture industry. Purcell says they powder coat more than a million items a year, from very small parts to large trucks. Vice President of Finance and Marketing Melanie Johnson says the company’s other big project is to integrate the PW Athletic Company they purchased in Mesa, Arizona in January. “We’re now taking our outdoor sports equipment and growing that nationwide. We’ve also got a new handicap accessible ramp, that just got started in January and that has a lot of growth potential as well” Johnson says. Johnson says the purchase also provides each company with a distribution center for the other coast, with truckloads of product moving in both directions to save on shipping costs. She reports marketing and brand awareness are other top goals. The company is already supplying product to several national chains. Johnson also expects their park shelter business to grow, as they are using the powder coating on all of their outdoor shelters, making them the only company that can provide a shelter that is super durable, as well as scratch and graffiti resistant. Purcell and Johnson say they don’t expect the purchase of any other companies in the near future. Americana started in 1985 with the purchase of Hindman Manufacturing in Central City which was just making carports and window awnings at the time. With continued growth, the company built its plant in the westside Salem Industrial Park in 1997. 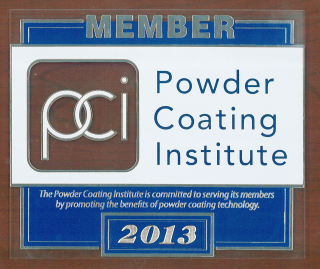 That’s also the year the powder coating business was added. Purcell closed his remarks by saying despite whatever you might hear, they are pleased with Salem and are here to stay.